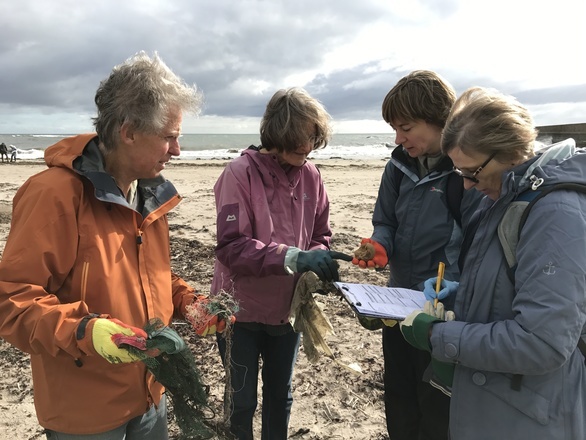 More than 800 volunteers have spent over 5,000 hours out on the beaches of the Northumberland Coast Area of Outstanding Natural Beauty (AONB) over the last year counting and collecting the litter they find. The coordinated litter-counts were organised by the volunteering initiative Coast Care and took place in winter, spring, summer and autumn on nearly every beach in the AONB. The data has been analysed and a report on the amount and type of litter on our beaches has been issued today. Cllr Jeff Watson, Chair of the Northumberland Coast AONB said “Firstly, I must thank the hundreds of volunteers who have contributed to the survey and the many more who collect litter from our beaches every day.